The annual Collins Lectures explore issues related to religion and social ethics. They have been a signature event of EMO and its predecessor organization the Portland Council of Churches since 1967. The event is funded in part by the Collins Foundation. Below are the most recent Collins Lectures, including video and/or audio. The EMO's 2018 Collins Summit explored the causes, challenges and opportunities of human migration in an increasingly global society. The event included an evening lecture by The Rev. Dr. David Vásquez-Levy, President of the Pacific School of Religion, and Ellen Rosenblum, Oregon Attorney General. View the 2018 Collins Lecture. 2017 Collins Lecture, "Wounded Earth, Wounded Humanity: God's call for climate justice," featuring The Rev. 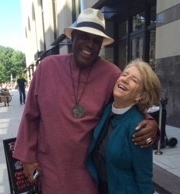 Canon Sally Bingham and The Rev. Dr. Gerald Durley. What is climate justice and why is it a civil rights issue? The 2017 Collins Lecture explored the ties between ecological justice and social justice as we respond to God's call to be faithful stewards of Creation. We learned about innovative, practical ways to protect people, places and the common good through individual, legislative and congregational actions. We joined together in building spiritual resilience to meet the challenge of caring for our beloved Earth home. 2016 Collins Lecture, "Redeeming the Soul of America: Race, Justice and Reconciliation," with the Rev. Dr. Otis Moss III. In the midst of growing polarization and divisiveness in our state and the nation, people of faith are called to address issues of racism, injustice, inequality and discrimination. The 2016 Collins Lecture presents emerging and inclusive theological and social perspectives on race, justice and reconciliation. 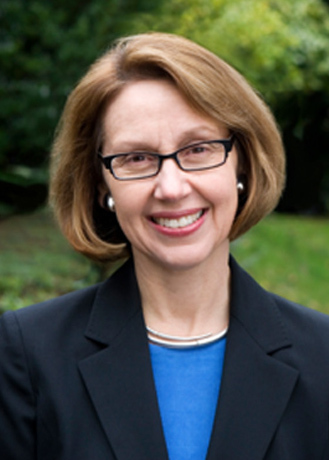 It engages the community in reflection, dialogue and ongoing action toward a just and inclusive future for all Oregonians. The 2016 Collins Lecturer, The Rev. 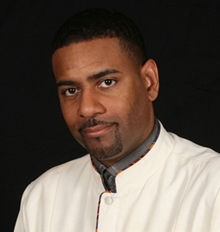 Dr. Otis Moss III, is senior pastor of Trinity United Church of Christ in Chicago and an accomplished author, speaker and activist. Dr. Moss is part of a new generation of ministers committed to community advancement and social justice activism. He practices and preaches a Black theology that calls attention to the problems of mass incarceration, environmental justice and economic inequality. Dr. Moss's creative Bible-based messages entwining love and justice have inspired audiences worldwide. Dr. Moss has a unique gift to communicate across generations: his creative Bible-based messages inspire young and old alike. He published his first book Redemption in a Red Light District in 1999 and coauthored The Gospel Re-Mix: How to Reach the Hip-Hop Generation in 2006. His latest book, Blue Note Preaching in a Post-Soul World: Finding Hope in an Age of Despair, was published in 2015. 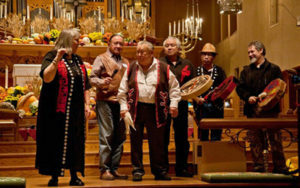 Three visionary Native American scholars and spiritual leaders guided the 2015 Collins Lecture in an experiential exploration of the meaning of the Doctrine of Discovery—the 15th century basis for European Christian claims to the Americas—as it plays out today in relations among church, tribe and state. Legal expert Robert Miller laid the groundwork for the day, introducing us to the historical and legal background of the Doctrine of Discovery. Theologian George "Tink" Tinker was our guide through the emotionally and intellectually charged topic of Christianity's role in displacing indigenous peoples, calling us into connectedness and supporting our journey forward. And cultural historian Kim Recalma-Clutesi weaved together the ritual and the academic dimensions of our inquiry, creating sacred space to open our hearts and minds to reflection and new ways of understanding our radical interdependence among one another and our shared Earth. View photo album on Facebook. Audio recording of the 2015 Collins Lecture, "The Gospel of Conquest"
Armstrong is a British author and commentator known for her books on comparative religion. A former Roman Catholic religious sister, she first rose to prominence in 1993 with her book A History of God: The 4,000-Year Quest of Judaism, Christianity and Islam. Her work focuses on commonalities of the major religions, such as the importance of compassion and the Golden Rule. Armstrong received the $100,000 TED Prize in February 2008. She used that occasion to call for the creation of a Charter for Compassion. Watch Armstrong's Collins Lecture now. With high levels of unemployment and underemployment in this country, a growing divide between those on the upper and lower economic margins, and economic uncertainty throughout the world, one question becomes increasingly important: “How do people and communities of faith respond to the economic crisis in our midst, which is impacting so many people and communities?” It is vital that faith communities come together to discuss how to respond to today’s profound political and economic changes and challenges, while meeting the spiritual and material needs of their members and the broader community. 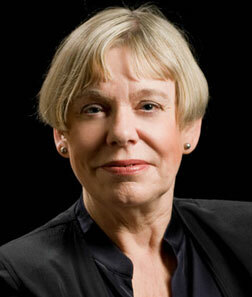 The 2012 Collins Lecture by Prof. Dorrien provides a timely opportunity to pursue these issues. Gary Dorrien is the Reinhold Niebuhr Professor of Social Ethics at Union Theological Seminary and professor of Religion at Columbia University. He is also an Episcopal priest and the author of 14 books and approximately 250 articles that range across the fields of ethics, social theory, theology, philosophy, politics and history. Watch Prof. Dorrien's Collins Lecture. In times of so much uncertainty and anxiety about the future, the question "How does one sustain one's soul while working faithfully and effectively for social justice and peace?" becomes increasingly important. The 2011 Collins Lecture, held on Oct. 26, 2011, created the space to pursue this question in a spiritually enriched context. It will also provided an opportunity to celebrate and honor people and communities engaged in the Holy work of peaceful change in the world. Fr. 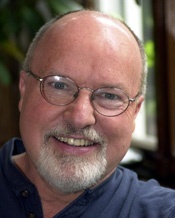 Richard Rohr is a well-known author and a Franciscan of the New Mexico Province. 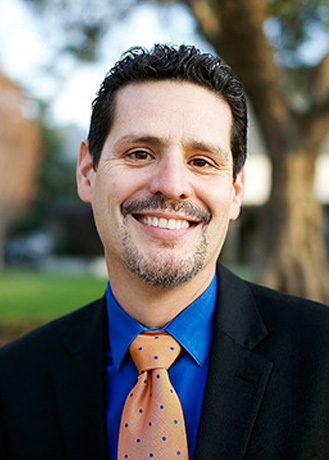 Since 1986, he has served as founding director at the Center for Action and Contemplation in Albuquerque, New Mexico. Rohr's ministry and lifework center on helping people connect to the contemplative traditions in order to be instruments of peaceful change in the world. Listen to Fr. Rohr's lecture "Restoring Sacred Balance." 2010 Collins Lecture, "Who Is Our Neighbor? Imagining Beyond Our Borders"
Who is our neighbor? What "borders" do we create between people: geographic, cultural, religious, economic, political? How can we live together respectfully in diverse communities? The current debates about the migration of people and cultural and religious diversity provide a rich context for discussing these questions from a theological perspective. Join us to explore this provocative issue. The 2010 Collins Lecture keynote speakers were the Rev. Dr. S. Wesley Ariarajah, faculty of the Drew University School of Theology and its Graduate School as professor of Ecumenical Theology, and the Rev. Samuel Rodriguez, president of the National Hispanic Christian Leadership Conference. With their personal histories and professional expertise, Ariarajah and Rodriguez offered their insights on the topic. With humor and honesty, Archbishop Tutu shared his belief in the power of forgiveness, as he recounted the years of apartheid in South Africa and the successful non-violent struggle to bring down the system. The sold-out crowd gave the Archbishop a standing ovation at the end of his lecture. Many in the crowd were students, including 350 young people given scholarships by our sponsors.